A couple of years ago, a picture was posted on the internet of what appears to be a point of sales (POS) receipt for a ‘functionality check’ on a television. 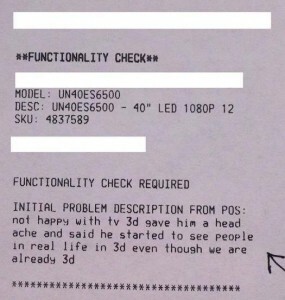 The printed receipt includes a concise and somewhat cryptic description of a customer complaint about the television 3d function. The provenance and authenticity of the receipt as well as the customer’s problem with the television are difficult to ascertain from the picture, especially since information about the shop and customer have been blanked out. However, the television model quoted in the receipt – UN40ES6500 – does exist. It was introduced to the Samsung range of smart 3d televisions in 2012, and sold to customers in English speaking countries and worldwide. If the description is taken on face value, it would be easy to dismiss the customer’s problem as ridiculous or, at the very least, highly unlikely. Of course it’s plausible that watching 3d television could cause a ‘head ache’, indeed Samsung’s instruction manual includes explicit warnings about potential health risks ‘Some viewers to 3d may experience discomfort while viewing 3D TV such as dizziness, nausea, and headaches’. Nevertheless, the claim that watching 3d television caused the viewer to ‘see people in real life in 3d’ is most peculiar and, perhaps, unintentionally funny. The perceptual melding of moving images displayed on television screens with people, places, and events in the real world is a theme that has been explored in literature such as J.G. Ballard’s (1970) Atrocity Exhibition and works of science fiction (SF), notably David Cronenberg’s Videodrome (1983). 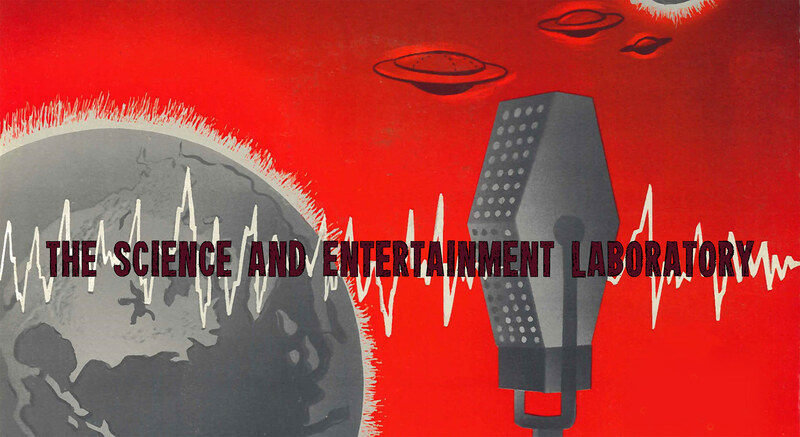 SF novels and films have incorporated television as a principal theme in order to critically examine and extrapolate the relationship between televisual media, perception, memory, and identity. To some extent, the aforementioned customer’s problem of perceiving a previously hidden third dimension, both on- and off-screen, could be written off as a fantasy resembling a scene from Videodrome, in which a series of bizarre television broadcasts from an unknown source extend beyond the confines of the television screen and infiltrate the real world, as perceived by principle characters in the film and, vicariously, by the audience. Whilst the customer’s discomfort and perceptual problems after watching Samsung’s 3d television pales in comparison with the reality-warping effects of television in Videodrome, the basic assertion regarding the similarity between the experience of watching people on television and visual perception in real life is not without precedence. 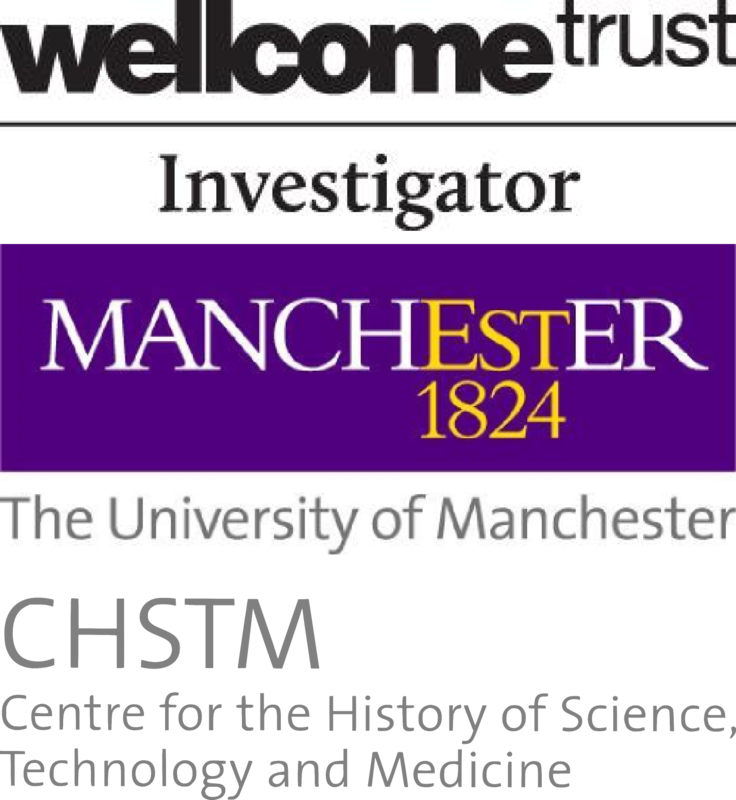 Indeed, there is a significant and expanding body of medical and scientific literature on disorders of visual perception, including case studies of neurological patients who experience television-induced hallucinations, and people with other types of perceptual distortion associated with moving images on television and cinema screens. Neurologist Avinoam Safran and his colleagues published an article about a patient who sustained brain injury, caused by reduced blood supply to parts of the brain during surgery, and subsequently experienced visual hallucinations. What was unusual about this particular case was that hallucinations only occurred whilst watching television and disappeared when he looked away from the screen. The patient experienced different types of television-induced hallucination including ‘large blocks of exceedingly clear letters and numerals’ that emerged from the middle of the screen and drifted to the side. Another type of hallucination consisted of young girls or young boys marching in formation in front of the television screen. The hallucinations of people were transparent and colourless, composed only in various shades of grey. The article also provides a brief description of a stroke-patient who experienced hallucinations whilst watching television. The hallucinations were spontaneous and included the branch of a tree emerging from the television screen and moving towards her, before stopping a short distance away. Whilst medical cases of television-induced hallucinations and some of the other perceptual disorders discussed in this blog piece are uncommon, they are considered to be important by neuropsychologists and other scientists. People with rare or highly specific disorders of visual perception linked to neurological damage or other factors – including, but not limited to, epilepsy, migraine, intoxication with hallucinogens or other drugs, insomnia, psychiatric conditions, or unknown causes – undergo diagnostic tests in order for clinicians to provide appropriate medical care. In addition, performance on tests and experiments as well as observational studies of people with perceptual disorders generate data that is used evaluate theoretical models and theories of human perception. In particular, neurologists and neuropsychologists pay close attention to disorders in which a specific aspect of perception such as the ability to perceive colour, movement, or shape is altered in some way or, in some cases, completely lost while other abilities remain largely intact. For many neuroscientists, the careful study of people with highly specific visual perceptual disorders provides evidence that visual perception involves detection and integration of different aspects of objects such as shape and movement. Further, the ability to perceive different visual properties of objects and the environment is associated with or mapped onto specific regions and processes in the brain. Although visual perceptual disorders can be highly specific and, in some instances, exceedingly rare, they cover a wide range of visual problems that deviate from what is considered normal, conscious, visual perception. Various classification systems have been developed by professional groups such as neurologists, psychiatrists, and neuropsychologists not only to encompass the range of visual problems experienced by patients, but also as a means of identifying specific types of visual perceptual disorder and the underlying cause. Visual perceptual disorders encompass simple visual hallucinations such as phosphenes, commonly referred to as spot of light or ‘seeing stars’ that precede or accompany epileptic seizures, as well as more complex visual experiences. For instance, inverted vision where the entire visual field appears upside down (reversal of vision metamorphopsia), spontaneously seeing one’s own body as an external object from a distance (autoscopy), and vivid recurrent hallucinations, most commonly faces or cartoons, experienced by blind and impaired persons (Charles Bonnet syndrome). Since the introduction of commercial cinema and the emergence of television as a mass medium, people with disorders of visual perception and neurologists studying their condition have compared problems in visual perception to watching distorted moving images on cinema or television screens. Likewise, this blog piece focuses on perceptual experiences, medical and scientific texts, entertainment media, and the visual arts that refer explicitly to moving images on television and film screens to explain anomalies or distortions of visual perception. She had difficulty, for example, in pouring tea or coffee into a cup because the fluid appeared to be frozen, like a glacier. In addition, she could not stop pouring at the right time since she was unable to perceive the movement in the cup (or pot) when the fluid rose. L.M. avoided some situations as they made her feel uncomfortable, such as being in a room where more than two people were walking around, because instead of seeing them move from one position to another, ‘people were suddenly here or there but I have not seen them moving’. Patient accounts and clinical case studies of akinetopisia almost invariably refer to film or television images to explain the inability to perceive motion. For instance, Kataro Sakurai and his colleagues described how a patient with epilepsy reported seeing moving objects as ‘freeze frames in a motion picture’. Similarly, a study of a patient with Alzheimer’s disease reported that the patient had difficulty watching television programmes in which people were moving quickly, such as sporting events or action films, because people on screen would ‘disappear’ as soon as they started to run. The eminent neurologist Oliver Sacks has studied and published on a wide range of visual disorders. Sacks’s case studies and other accounts of visual perceptual disorders are replete with references to film, television, and other visual media. For example, he compared L.M.’s perception of objects in motion to ‘freeze frames’. Sack’s also pointed out that neurological processes underlying L.M.’s perceptual distortion may also be involved in the prolonged and disturbing ‘global freezes’ experienced by his patients awakened from catatonic states. Sacks’s 1973 book Awakenings, a memoir based on his clinical work at a the Beth Abraham Hospital in New York City during the late 1960s, described how he used the drug L-Dopa in 1969 to ‘awaken’ catatonic patients who had been unresponsive for decades after contracting the viral disease, encephalitis lethargica, during the 1917-28 epidemic. 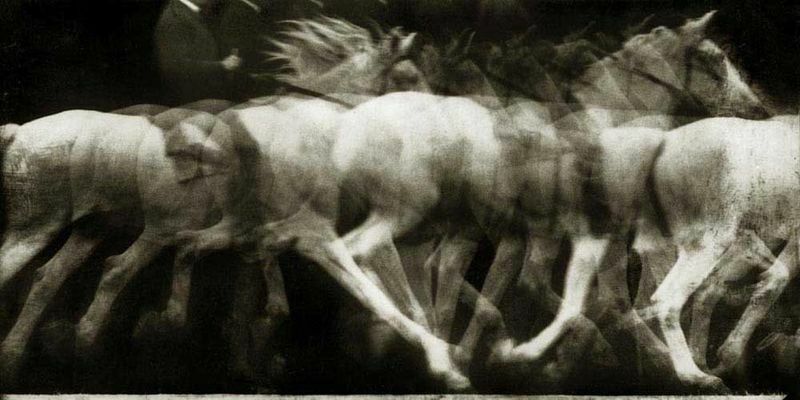 One of the side effects described by patients awakened with L-Dopa was an extreme version of movement being perceived as frozen images, which involved not just the transformation of the usual visual flow into motionless images for extended periods, but also a corresponding freezing of thought and movement which could last for hours. Interestingly, Sacks has pointed out that there is a long history of comparing visual perception and consciousness with visual technologies. Prior to the introduction of cinema, the psychologist William James referred to the visual device known as a zoetrope to describe perception and consciousness as continuous stream of perceptions and thoughts. For James, the flow of perceptual experiences and ‘stream consciousness’ were analogous to the way in which a static pictures viewed using a zoetrope gave the illusion of motion. As Sacks observes, scientific accounts and patient descriptions of visual distortions often refer to contemporary visual technologies. It would be unusual for clinicians or patients in the twenty-first century to refer to a zoetrope to explain a perceptual disorder, and more likely that distorted visual perceptions are compared to present-day technologies, though of course there are exceptions such as references to kaleidoscopic effects. Ghost petals ray out from a flower on our table, like a halo around it; when it is moved, I observe, it leaves a slight train, a visual smear, reddish, in its wake. Watching a palm waving, I see a succession of stills, like a film run too slow, its continuity no longer maintained. This quotation can be seen as a clear demonstration that in some instances visual perceptual distortions constitute aesthetic experiences. There is evidence to support the claim that visual phenomena, such as a multiple static images tracing the movement of physical objects through space, are produced by parts of the brain and perceptual system that respond to visual displays projected onto the flat surface of television and cinema screens. Whilst visual technologies do not wholly determine the form, affect, or meaning of perceptual distortions, it would appear that many people who experience or study visual perceptual disorders refer to, or actually use, contemporary visual technology designed for mass audiences to, literally, make sense of and convey – in a word mediate – perceptual experiences in and through images. Sacks later explained, his personal experiences using hallucinogens helped him to empathise with patients learning to understand and deal with visual perceptual disorders. Predictably, perhaps, more conventional scientists such as Neil deGrasse Tyson questioned whether the use of psychoactive substances by clinicians or researchers themselves can afford better understanding or new knowledge about visual perceptual disorders. Whilst cinema, television, and visual technologies pre-dating cinema, notably Marey’s chronophotography, were cited by Sack’s to describe the lived experience and underlying neurological basis of perceptual distortions, others working in the field of neurology and related disciplines have turned to different visual arts and sculpture to characterize perceptual disorders. 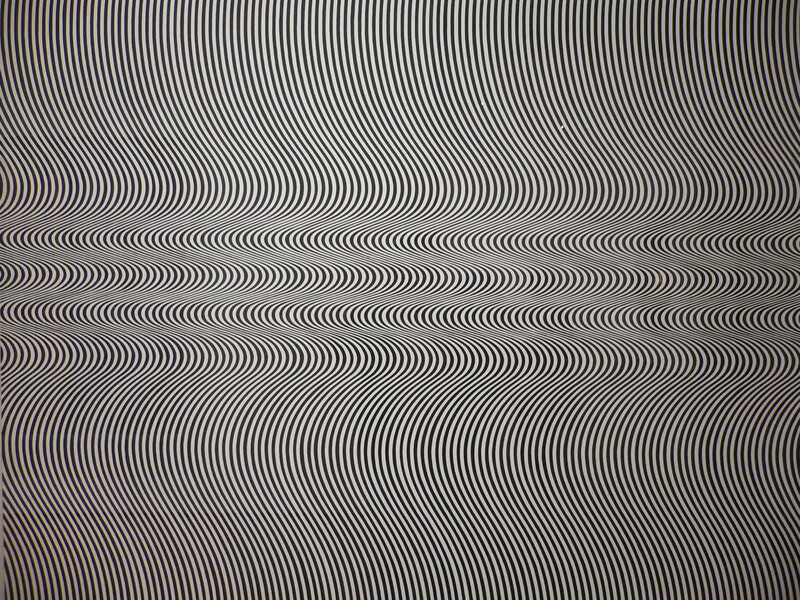 In their fascinating review article The Neurology of Kinetic Art, neuroscientists Samir Zeki and M. Lamb assert that practitioners of kinetic art and producers of op art (also known as ‘optical art’) have unwittingly created sculpture, film, and paintings that incorporate visual attributes that stimulate fundamental visual processes, specifically the perception of motion. Zeki and Lamb cite and analyze the work of designer László Moholy-Nagy and sculptor Naum Gabo both of whom played a major role as theorists and producers of kinetic art, and painter Bridget Riley a key figure in establishing the op art movement. Whilst not completely reducing visual aesthetics brain function, Zeki and Lamb claimed kinetic art and op art can be understood as practical experiments in that they have yielded evidence to support neurological theories of brain function, specifically the perception of movement. Given there is evidence that contemporary visual technology is frequently referred to and, in some cases, used to describe, explain, and mediate visual perceptual disorders it should come as no surprise that in recent years references to images displayed on digital media have been incorporated into clinical, scientific, and non-specialist texts that focus on visual hallucinations and perceptual problems. For instance, Jan Dirk Blom’s (2010) A Dictionary of Hallucinations defines cinematographic vision and slide show or movie format hallucinations as having ‘(…) the phenomenological quality of a slide show, a kaleidoscope, or a DVD in fast-forward mode’. It is reasonable to assume that visual perceptual disorders will not only be compared with the images displayed on digital media using conventional viewing modes or according to the manufacturer’s instructions. It’s more likely that disordered perceptions will be likened to digital televisions and other screen-based digital media that are deemed to be faulty or exhibit glitches generated by accident or design. Indeed, contemporary glitch art is a potent resource portraying and modelling disorders of perception, and for developing an aesthetic that both shapes and is shaped by a wide range of perceptual experiences mediated through digital screens and artifacts. In the 1960s, video artists including Wolf Vostell and Nam Paik June used an array of techniques to manipulate electronic images displayed on analogue television screens. Since the introduction of television as a consumer technology for mass audiences in the late 1950s, the form and compositional properties of analogue television pictures can be discerned in descriptions of visual perceptual disorders. Digital screens are not simply higher resolution and brighter compared to earlier display technologies, but also possess physical and functional properties that afford new possibilities for delineating the interplay between the constraints of visual conventions and diversity of perceptual experiences.